BitNation is a Decentralized Autonomous Organization (DAO), offering governance services of several kinds, such as law related bureaucracies, insurance and social services (education). It is based on a programming element called Blockchain, requires no human involvement and obeys to a set of incorruptible interaction rules. Every code line is open-source and even the rules are publicly auditable. 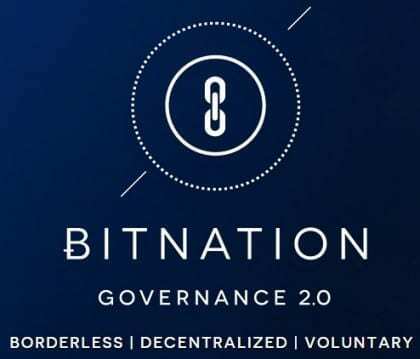 Bitnation 2.0 aims at decentralizing, abolishing national borders and offering every governance act, which each person can voluntarily purchase, while keeping everything transparent and auditable. BitNation 2.0 is now being upgraded with a new functionality: Basicincome.co. Johan Nygren, the tool’s creator and basic income activist since 2012, has approached Bitnation coordinators and got them to approve hosting the Basicincome.co decentralized application on their Blockchain environment. Although crowd funding the necessary developments for Basicincome.co on Indiegogo has not proven successful, BitNation has embraced its principles, which if functional should be able to provide a basic income for all network users. Basicincome.co is a part of the Resilience protocol, which is a 21st century web-based standard for dividend allocation within a co-operative. This new tool intends to distribute income from a network of interdependent users, who buy from and sell to each other. This network can ultimately encompass the entire human population. Every transaction’s profit gets distributed automatically among users who accept to support community services as providing a minimum guaranteed income. It is entirely voluntary, being on principle different from current tax collection, which is based on coercion. Users are encouraged to stay connected to the network by being disconnected each time they purchase from someone outside it. This temporary disconnection takes as long as necessary to match the purchase dividends flowing through a user’s node (account). BitNation team, by supporting the Basicincome.co application, aim at solving a problem which is normally seen as a national governmental responsibility: re-distributing income. It’s strategy, though, runs through a voluntary, free market manner, particularly useful, according to Bitnation coordinators, in improving the lives of people neglected or mistreated by their governments.